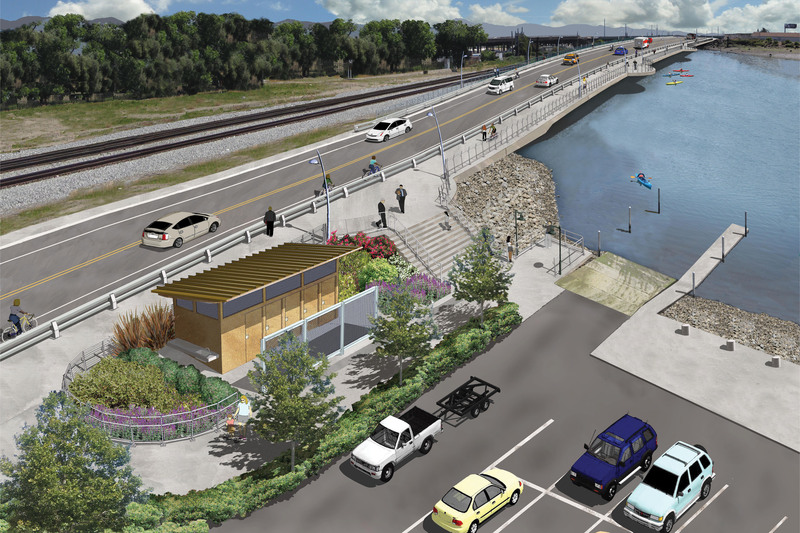 As part of an engineer-led team, PGAdesign is working on designs for a new, higher and wider bridge that will create a memorable gateway for Lake Merritt Channel, the surrounding open space and connections to Brooklyn Basin housing development as well as Estuary Park. 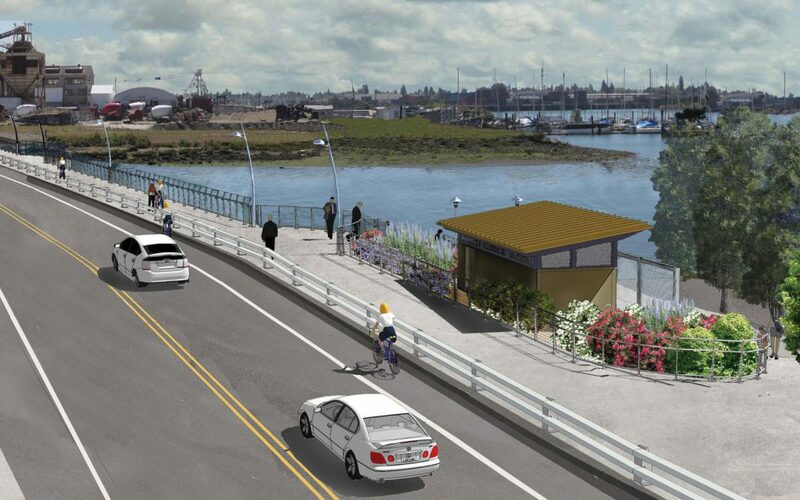 The seismic upgrade will replace the old bridge with one that accommodates increased traffic, adds pedestrian and bicycle paths, and connects with the Embarcadero Bike Trail. PGAdesign’s presentation at BCDC achieved a key project milestone by providing a public forum for diverse concerns expressed by community members. We gained their trust, which resulted in a design solution acceptable to all parties. These simulations, produced by PGAdesign, helped attendees at public meetings better understand the issues.